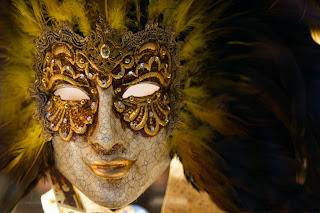 Masks have been worn in several cultures, going back thousands of years, but never with such pageantry as in Venice. 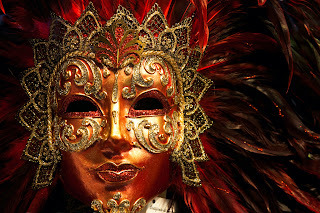 Venetian masks date back to the 13th century when Venice was a republic with a population of around 150,000. 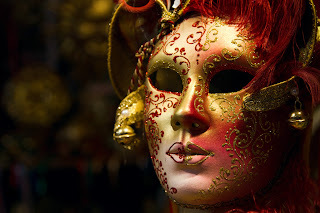 Nowadays, Venetians and tourists only wear masks during Carnevale (Mardi Gras) but in the 13th century masks were worn on a daily basis to conceal peoples' identities. In the 13th century the Republic of Venice controlled several trade routes which extended beyond Constantinople. It also owned shipyards which were able to produce battleships in 30 days. This was possible because the shipyards employed 15,000 locals, a staggering 10% of the population. Apart from the shipyards, Venice also employed large work forces in other industries. Due to the high rate of employment Venetians were therefore wealthy and enjoyed a high standard of living. With time, some Venetians realised that by wearing masks, they were able to go about their daily lives and conduct certain business affairs in secrecy. They started making deals and agreements with other people, which, because of their hidden identity, did not fall within the gaze of the law. Masks also took social status out of the equation in peoples' dealings with each other. This prevented prejudice and allowed everyone to be treated as equals. Both citizens and officials visiting the city benefited from this as they were able to speak freely without fear of retribution and receive honest opinions. It didn't take long for people to start noticing the other "advantages" of remaining anonymous. Sexual promiscuity became common, women started flaunting their sexuality by wearing revealing clothing* and gambling was widespread throughout the day and night. Even those who had taken religious vows, such as monks and nuns, were tempted by and succumbed to the debauchery. 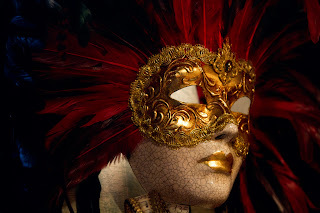 In order to prevent complete moral decline, a decision was taken to ban masks altogether except on the days of Carnevale which was a time for fancy-dress parties and excessive celebrating. 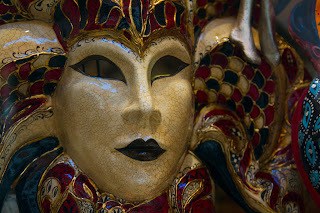 Masks are for sale at all souvenir shops and stalls around the main attractions, but a lot of them are of poor quality. 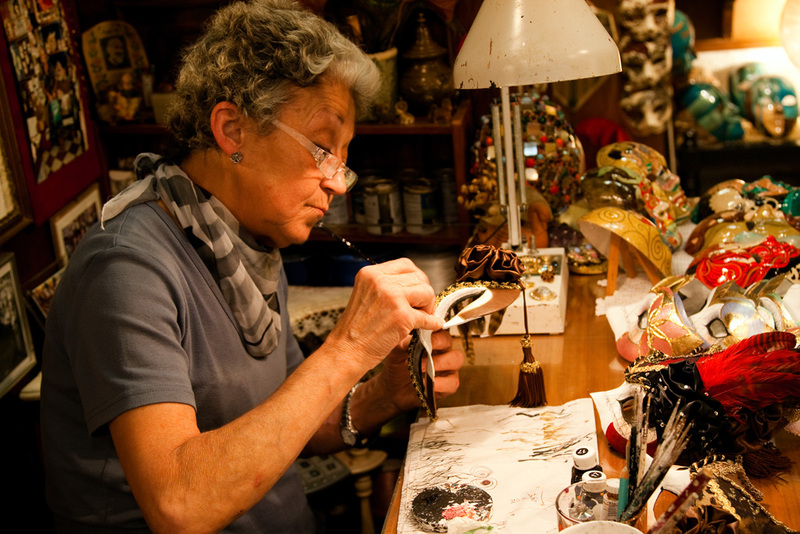 You are sure to come across a number of shops dedicated entirely to authentic Venetian masks while wandering around the streets and alleys of Venice. We were lucky to walk into a store where the masks were being made and watched a lady painting and decorating a mask. 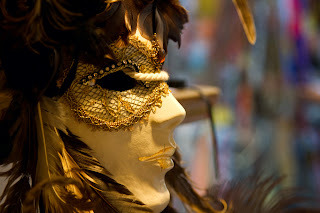 The images on this post were captured with either the Canon 7D or the Canon 400D with a 24-105mm lens or a 50mm lens. What an interesting back-story. Your capture of these works of art is a work of art, in itself. Bellisimo!